If shipping is a core part of your enterprise-wide ERP implementation, then it's important to include implementation planning early in your ERP project kickoff, even if your team prioritizes completing other setup and training tasks first. From carrier selection to freight quoting to freight terms, collection, and billing, there are key shipping-related business decisions, controls, and data capture choices to consider as you map out your new business processes and new ERP use across functional areas of your business. By planning ahead for carrier selection and freight terms control, for instance, you can avoid having to go back and introduce new setup changes, training, and testing in customer service when you've reached the point of implementing your shipping solution. Mapping out the flow of physical goods and cash from quote through order through to shipments and status is one way to identify some of the key decisions and data. Read on to learn more or contact Pacejet at info@pacejet.com or 877-722-3538. Many of the key shipping-related decisions will likely already be brought up and discussed during your ERP kickoff and planning, so much of the work in early shipment planning may really amount to organizing how the issues are reviewed, how current process setup and controls are documented and discussed, and how new decisions and implementation choices are mapped out, recorded, and validated. 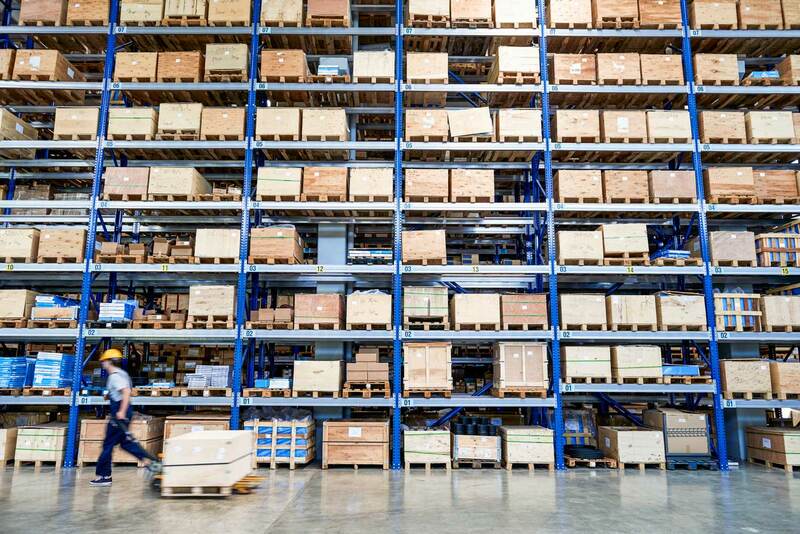 Major considerations and decisions fit in areas of Finance, Customer Service, Inventory, and the Inventory/Warehouse/Shipping functional areas. Carriers and Modes = How many carriers by type of Parcel, LTL, 3PL will we use going forward and are there any new changes for this year? Contracts and Compliance = Which carriers have contract pricing, how many can work online/connected versus require offline/tariff-files, how will audit their pricing and terms, which have customer-direct compliance? Freight Terms = Setup, rules, use of Prepaid, Prepaid and Charge, Third Party, Consignee and other controls over when and how freight is paid for. Carrier Account Numbers = How and when to record and use customer and third party carrier accounts for compliance and to improve cash flow. Freight Payment Decisions = Who will decide billable or non-billable, who can expedite and override, how is it managed from order to shipping? Reporting and Reference Data = What carrier reference data like order and purchase order numbers passed to carriers during shipping and linked on carrier invoices be sufficient to track, measure, validate payments? Shipping Cost and Price = How will we use shipping cost and price data and where will it be available to measure and minimize losses on freight? Auditing for Compliance = What sorts of common carrier charge-backs and customer auditing fees should we be tracking, measuring, reporting? Pricing, Carriers, Quoting = How will we determine carrier choice, shipment pricing, how quickly can we provide it to customers, what choices in carriers, times, and payment we will offer customers of different types? Special Services from Carriers = Carriers offer hundreds of billable services from Lift Gate, Delivery Confirmation, Excessive Length, and much more. Which services are key for us, how do we offer and control? Notification and Tracking = How will customers be notified of shipments and supported for tracking for all carriers? How we will this be supported back through the service teams and visible through online sales channels? Order Configurations = What are the key order configurations we'll use to fulfill directly, drop-ship with vendor partners, blind ship, use delivery instructions, or otherwise setup orders to drive delivery correctly? Objectives for Efficiency, Cost, Service = How important is task efficiency, speed, and error control as we balance priorities of reducing shipping costs and offering flexibility to customers on service? Shipments and Containers = How will we consistently capture accurate containers, dimensions, weight, class and other data while packing efficiently and accurately, given the new pricing importance of this data? Core Pick-Pack-Ship Workflow = What does the primary pick-pack-ship workflow look like, how is it divide across teams, what are the core tools that will fit together and how does data flow through to carriers and back? Base Item Data and Setup = What does the item data inventory list look like for most efficient setup of shipping? What data elements like item length, width, height, weight, freight class, HST, etc... do we need to organize to automate as much processing and paperwork as possible? Paperwork and Labels = What is our core set of paperwork and labels and how standard is it across all shipments? What customer compliance needs do we have which include paperwork, labels, EDI or other data? Carrier Accounts = What carrier account details will be needed to activate shipping operations, so we can track down account details, contact carriers for online activation, and perform other implementation work when needed? It can sometimes feel like the old saying the "tail wagging the dog" to be reviewing shipping very early in your ERP implementation project. But considering the hundreds of thousands or millions of dollars of shipping costs that flow through most shipping operations (even if much of it is paid directly by customers), getting and keeping a grip on the plans that will control these costs can have a fundamental impact on profitability. But putting the strategic impacts aside for a moment, that last thing your ERP team probably wants to be doing in the 11th hour of a long project cycle, when your shipping solution starts to come online for piloting --- is frantically racing back through other functional areas to change processes, add new controls in your ERP, and retrain users on the intent, meaning, and controls for shipping. A little upfront planning can go a long way to helping all ERP users keep the big-picture of order fulfillment in mind. Interested in learning more? Visit Pacejet at www.pacejet.com, follow us on Twitter @pacejet or sign up for to email follow blogs.pacejet.com.